My sister Doreen heard I was looking for family history information and dug out an old shortbread tin she had kept after Mum died. The words BIRTH CERT, DEATH CERT, BAPTISM etc were written on the lid. Inside among papers on Dad, Mum and her parents I found tucked in the corner a small French Agenda (diary). Doreen said that Mum had destroyed Dad's earlier war diaries as they were too upsetting to keep. I'm glad she kept this one. 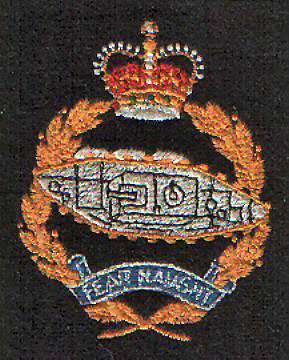 Dad was in the Royal Tank Corps and served during WWII. He was captured in 1942 in North Africa. 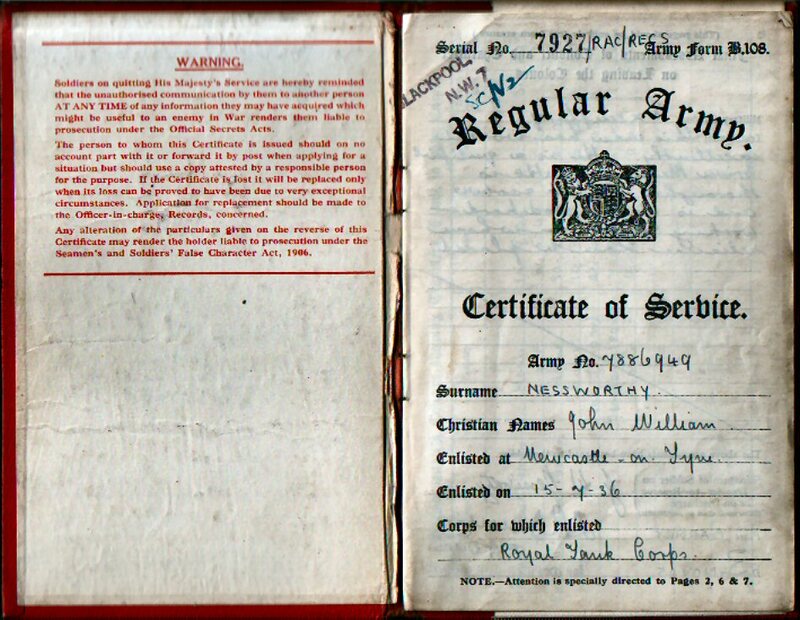 It is evident that he was kept in POW camps in Italy and then later in Germany. 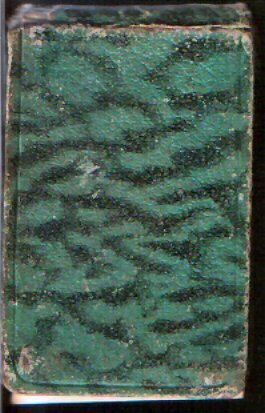 This is an account of his final days in Stalag IX-A prior to his liberation in 1945. The first few pages of the diary are blank but from March 12th onwards and written in pencil the following entries made me realise just what he had gone through. Food and friendship were very important. What follows is my copy of the entries verbatim. I have tried to decipher some of the obvious elements of 'POW slang' but the derivation of a few ("Crank"; "Bucks did 8 of 12") have eluded me. The links will take you through to a large scale reproduction of the actual pages. Arrived in Ziegenhain (9a). Made a combine with Nobby Clarke & Fred Screen, also Ernie Collinson. No rations issued in camp. (Tents for 300 men). In the first 50 for a bath 1st since Jan 15th. Met some of our batt. Scrounged 2 fags between the 4 of us. Veg. Soup. 1/7 loaf Marg. 25 grs. Mint tea twice. Barley soup. 1/10 of loaf 25 grs. Marg. Poor day still feeling weak. Mint tea twice. ½ bucks on soup. Wrote 2 letters 3 cards. Swede soup very good 1/6 of loaf 50 grs. soft cheese. Mint tea twice. Good day. ½ buckshees on soup. Mixed veg ok. 1/7 loaf 70 grs. jam. Mint tea & coffee in the afternoon. Visit from the I.R.C. (International Red Cross Rep. Rumours of paroles. Still not able to walk around. 1/7 loaf. 50 grs. marg. Soup, peas not very thick. Had a shirt & vest given from Lofty Ward & Povey. Coffee. Up twice. Delouser tomorrow at 6-o'clock. Mixed veg 1/7 loaf 25 marg. Not feeling so good stayed in bed all day. Coffee twice. Swede soup. Ernie went sick with berry berri kept him in dock. 1/7 loaf & jam. 70 grs. Still in bed & have dizzy spells. Coffee & mint tea. Mixed veg. 1/7 loaf 25 marg. Air raid. Straffed the camp. American thunderbolts 11 killed, 30 - 50 wounded (Frenchmen) Still crank. Coffee & mint tea. Barley soup very good. More raids. Visit by the protecting power. 1/10 loaf & cheese. The sunniest day since last summer. Had our soup & bread outside on a blanket. Had no smokes for a while. Thin veg soup. 1/6 loaf 25 marg. Out in the sun all day. Feeling a little better. More raids all day. Toasted the bread .Had our meals outside. Coffee & mint tea. Barley soup had blicks very thick. Feeling full . Outside all day for our meals. News good from west (Monty's push). 1/7 loaf 25 marg. Coffee & tea. More air raids all day. Mixed veg very nice indeed, 1/7 loaf 25 marg. News still good. Hope we don't have to evacuate again. Nobby crank. Coff. & m. Tea. Bucks did 8 of 12. Rained nearly all day. Stayed behind with Fred, Tom & the crank. *Smashing news at 9-2.p.m. practically free men. Germans leaving crank behind. Whoopee, cant believe it yet every hour counts. Coffee. Dysentery started again. Good Friday what a day. 2 soups 1/7 loaf. 25. marg. The American tanks seen in the morning. Jerry running everywhere in full retreat. The moment I have lived for. The yanks arrived at 1-40 p.m. A free man once more. Don't know whether to laugh or cry. Moved into barracks at last. Still crank. Vomitting everything I eat. Never mind will be home soon. Still very hard to realise. Coffee very sweet. Could not sleep last night. Barley & spuds. Fried eggs sausage & mash. Very Good. Still got shits bad. Fred did the shopping. 15 lbs. Bread. Left stalag by motor for Giessen. Arrived 9 boarded Dakota. T. C. Plane. at 6-50 p.m. Saw the rhine. Koblenz, French beaches, at last the cliffs of good old England. Arr. 9-20. Marvellous reception at Wing. Left for camp 93 arrived 1-a.m Cup of tea & good bed. First morning in Blighty. Good breakfast. Delouse shower. New complete kit. Everybody good to us. Wire off home. Can't wire sweetheart yet. Hope she can get leave. Going home tomorrow. Whoopee. Fred & I still together. Home on leave. Harry married at Blackpool today. Dad's accident.. 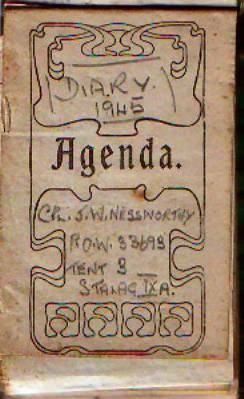 The main diary ends here although there are three further brief entries. Dad was uncle Harry's best man at his wedding to Mum's sister. My Mum's father had an accident on the same day as the wedding. 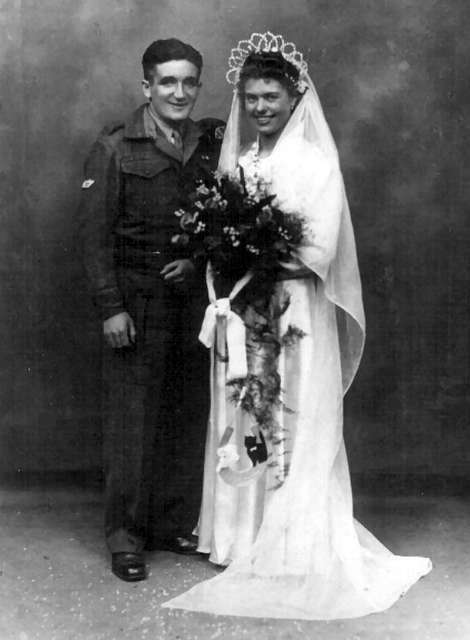 Dad went on to marry Mum (Maud) on the 5th May 1945. During the second World War Germany was a signatory at the Third Geneva Convention which established the provisions relative to the treatment of Prisoners of War. At the start of the war Germany was divided up into seventeen military districts, each known by a roman numeral. Prisoners were housed in camps of different types defined by the nature of their inmates. Enlisted men were kept at base camps (the Stalag or Stammlager) whereas officers were housed at Oflager camps. Each camp was noted by a capital letter suffix to the military district. 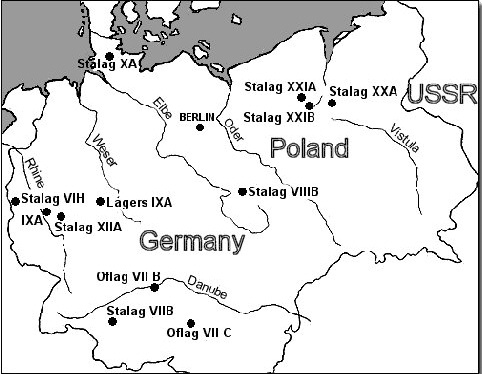 Stalag IX-A was at Ziegenhain in the Hesse Region of Germany. 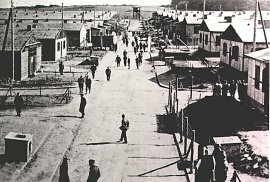 After the war the camp was converted into a reception centre for displaced persons run by the US Military and the village was absorbed by its neighbour, Trutzhain (3). In turn these have been amalgamated into the larger connurbation of Schwalmstadt which lies midway between Frankfurt am Main and Kassel. Parts of the old camp have been preserved and converted into a warmuseum. 1. Stalag IX-A: "Healing The Child Warrior"